Most personal injury cases are handled on a contingency fee basis. It takes many hours to investigate a case, negotiate terms and come to an agreement. In addition, expert testimony can be extremely expensive. A contingency-fee-based case allows victims who might otherwise not be able to afford to sue to move forward with their cases. When a personal injury lawyer takes a case on a contingency, the attorney is paid only if there is an award or judgment in favor of the client. 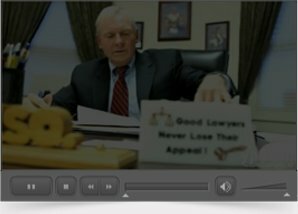 This type of arrangement allows many more people to bring their cases to trial. It also serves as motivation to ensure that attorneys work their hardest to help their clients win their cases. The maximum legal fee an attorney can collect on a contingency basis is set forth in the rules governing the courts of the State of New Jersey. Fees range from one-quarter to one-third of the total settlement or award after all expenses are deducted. Expenses can include items such as payment for expert witnesses, travel, mailing and copying expenses, and court filing fees. However, if the case is lost and no award or settlement has been given to the client, then the law firm may receive nothing. If you have been seriously injured in an accident caused by another person, a faulty product, or a slip-and-fall injury, contact our knowledgeable NJ personal injury law firm today.